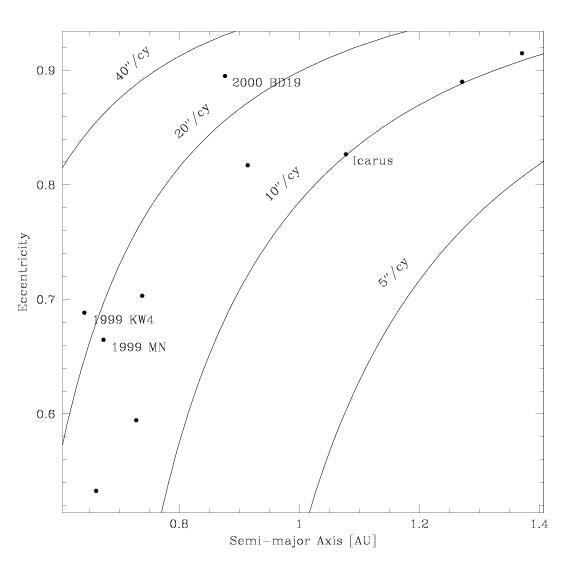 2000 BD19 is interesting because among all the numbered near-Earth asteroids (NEAs), it comes closest to the Sun. This extreme trajectory puts 2000 BD19 in an unusual dynamical class where various perturbations strongly affect the orientation of the orbit. With a change in orbit orientation ('perihelion shift rate') of 27 arcseconds per century, this near-Earth object (NEO) is one of our best candidates for measuring the perihelion shift due to general relativity (GR) and the oblate Sun [Margot, 2003]. These observations represent one component of a larger program in which the orbits of a dozen NEOs are monitored over several years to reduce uncertainties on GR parameters and to provide a dynamical measurement or upper bound on the gravitational quadrupole moment of the Sun (J2). 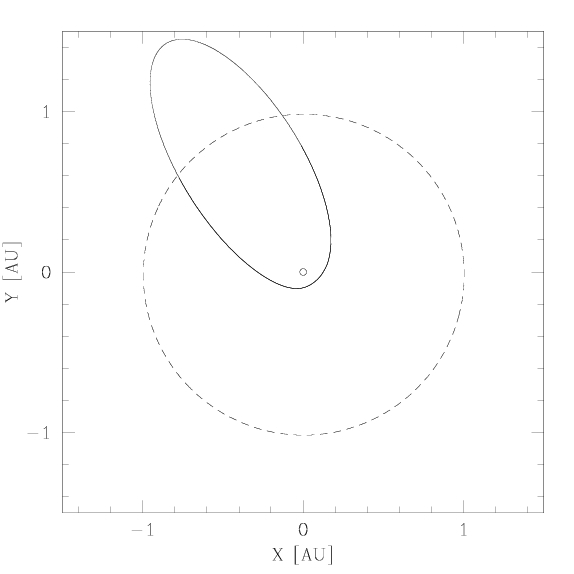 Considerable improvements over previous studies involving Mercury and Icarus are expected because 1) several newly-discovered asteroids have orbits offering a better sensitivity to the solar J2, 2) our sample incorporates a range of heliocentric distances and inclinations that can unambiguously separate GR and J2 effects, 3) the center of mass locations of small bodies is more accurately determined than that of Mercury. By obtaining precise radar astrometry for a number of objects at several apparitions, we can disentangle Yarkovsky, GR, and solar J2 perturbations on the orbit.